This paper focuses on how I collect in context. Although I collect a range of media, including vinyl LPs, audio cassettes, CDs, digital files, sheet music and ephemera, my main focus is the 78rpm disc and the music of its era, which spans from around 1900, up until 1958. The term “forgotten sounds” applies to much of the material recorded during this period. I won’t be talking much about the focus and content of my research, but if you want to keep up with my activities, please follow my blog Amnesiac Archive. I will dedicate the first part of the paper to the question of why I collect the material that I do. The second half will deal with personal methodology, or how I “use” or situate these sound recordings in their appropriate context, and make them accessible, through curated exhibitions, blog writing and reissue projects. This will lead into discussion and general conjecture around the importance of sound recordings as a living history, and why we should do more to share and disseminate them. Now, to introduce you all to the weird and wonderful world of 78 collecting, here is a clip from the 2001 film “Ghost World”, directed by Terry Zwigoff, where Steve Buscemi plays the role of Seymour, the archetypal obsessive collector. These portrayals contribute to the popular perception of collectors as simply hoarders and accumulators of objects. However, collectors can do more than be record nerds and obsess over their holdings. The legendary compilation “Anthology of American Folk Music”, first released by Folkways Records in 1952, is a good example of how a collector can weave together objects otherwise disconnected in time and place, to see how they fit into the grand and esoteric narratives of history. Harry Everett Smith (1923 – 1991), the compiler, or “curator” of this three-volume set, accomplishes this task through an alchemical blending of folk, blues, country and rural music issued on 78rpm discs from 1927 – 1932. At the time of the set’s initial release, most of these recordings were ignored and forgotten, yet it proved to be very influential in the folk revival of the late 1950s and 60s. Smith acknowledged the set’s timeliness in 1991, shortly before his death, proclaiming that his “dream had come true”, that he “saw America changed through music”. Smith’s work shows that a collector can do more than just endlessly hoard material, they can be alchemists, they can be creators, and they can be curators. Roy Shuker, in his study Wax trash and vinyl treasures: record collecting as a social practice, argues for the idea of collecting as a “career”. He writes that collecting is “central to the construction and expression of personal identity” and even proposes a typical ‘career progression’ of a record collector. So, to explain why I collect, I’ll need to give you all a few details about my own personal background and development. I was born in Sydney, Australia and grew up during the early 2000s. From the ages of 5 to 12 I witnessed the demise of AV formats like the VHS tape, and the rise of mp3s, iTunes and digital audio players. In 2005, my sister and I begged my mother to buy us the newest Apple iPod mini on the market, then retailing at AUD $299 each, with a storage capacity of 4GB, or about a thousand songs. Today, a USB of similar size would cost a few dollars, but at the time the iPod was a revelation. It was much sleeker, lighter and sexier than a CD Walkman, and in a nice postmodern twist, the iPod gave me the ability to curate my listening experience in an eclectic and erratic manner. At the touch of a button on the click-wheel I could be listening to the violin strains of a Vivaldi concerto, and with another swipe and click, I could be listening to a thumping rap song by Eminem. From that initial amazement at 21st century progress came a desire to regress back into the past. Around 12 years old I bought my first record player. I started playing a few Greek LPs that my parents had in the basement. I then scoured through the $2 charity bins of records at stores like Vinnies and Salvos. And in a further descent into obscurity (or madness, whichever term you prefer) I became enraptured with the entirely different world of sound offered by the 78rpm gramophone disc. I was initially lured-in by vintage recordings of ethnic music, particularly Greek music, that collectors had uploaded to YouTube or made available on blogs like Excavated Shellac, as well as official reissue albums. At the age of 16, I wrote a novella based loosely on the life of Greek singer Marika Papagika, who emigrated to America in 1915 and had a prolific recording career that lasted from 1919 to 1929 in New York. The project was an attempt to reconcile the little information known about her life with the story she so rightfully deserved as one of the first pioneering Greek women singers to be heard on record. In any case, the project was a failure. In hindsight, the writing of the novella was more telling of my desire to make sense of my own Greek background, to see how everything “fits”, but it did trigger something. I had to start thinking locally, and I had to dig deeper. And I had to find a context for my collecting and writing activities that made sense; that made sense for my own time and place. And as soon as the questions surfaced and my curiosity piqued, I only dug myself deeper into the collecting rabbit hole. These doubts led to further questioning and re-evaluation. For example, my initial fascination with the vinyl LP and its “new” way of listening and experiencing music gave way to concerns around the consumerist implications of this format fetishism. What was the point of buying an album by my favourite artist “just to have it on vinyl”, when I already had a CD or digital copy? But as my music interests kept expanding, I noticed the existence of sounds that were available on vinyl that I couldn’t seem to find anywhere else. And with this realisation came an even greater desire to dig deeper, to unearth sounds that had been pushed to the periphery and that needed to be heard. As part of his entry to the book Sexing the groove: popular music and gender, Will Straw commented on the tendency of record collectors to valorise the obscure. Perhaps my interest in the marginal was a sign of my increasing record mania rather than any unique or personal epiphany. However, parallel to this growing ‘obscurist’ tendency was a curiosity in the music and recorded sound heritage of my birth country. Richard Spottswood’s landmark discography “Ethnic Music on Records” (1990) brought my attention to the thousands of foreign-language recordings made in America during the 78rpm era. Did Australia have this vast legacy, and if not, why? Along the way, I corresponded with collectors, academics, researchers, sound engineers, historians and enthusiasts both locally and internationally. Through further reading and research, I became aware of the great work that had already been done in this field by dedicated individuals like the late Mike Sutcliffe, Chris Long and Ross Laird, among others. But there were still gaps, and more had to be done. More concerning were the stories I heard about the lack of interest by major institutions like the National Film and Sound Archive to support research into Australia’s recorded sound history, or at least make their own holdings more accessible and available. Perhaps the cultural cringe is to blame for this ignorance and apathy to acknowledge or preserve our sound history, especially the early days. The uncomfortable truth with Australian sound recordings, especially during the 78rpm era, is that there isn’t much of it. And what was made here doesn’t compare to the volume and diversity of content that was recorded elsewhere in America or Europe. For example, there were more Hawaiian-style recordings made in Greece than there were in Australia during this period. Part of the problem was the small size of the Australian market and the conservative music tastes of the record-buying public. This tricky business environment made the record companies reluctant to take creative (and therefore financial) risks on what they chose to record and publish. Yes, it would have been great if we had more material to draw upon like Harry Smith did with his Anthology. Imagine all of the tantalising commercial recordings that could have been made of Aboriginal gum leaf bands, of Banjo Paterson reciting his own verse, of Polynesian choirs, or rural bush bands. However entertaining these fantasies may be, they shouldn’t give us an excuse to ignore our existing sound heritage. If we all internalise this cultural cringe, both at personal and institutional levels, then we risk losing (or worse, forgetting) what we do have. And what about our links to the broader Oceanic region? What about recordings that don’t fit into the quintessentially ‘Australian’ narrative, like Maori and Hawaiian-style music? Or recordings that shed light on our historically uncomfortable relationship with race, gender, class, sexuality, political correctness, and Aboriginal and Torres Strait Islander peoples? As I started delving more into the history of early Australian sound recordings, these are the questions that provided not only the impetus for what I should collect, but more importantly, why. In June 2015, I curated an exhibition at Surry Hills Library titled Sydney Goes Gatsby: a pictorial history, based on the local record and gramophone industry during the roaring 20s. The 30 locked display cases in the library were richly furnished with 78 record sleeves, photos, advertisements, ephemera, sheet music and more. Mounting the exhibition exercised both my collecting and curatorial skills, but I came to realise how integrated these roles were. To properly curate this exhibit I had to amass as much material as possible to see patterns and connections between objects. And to efficiently collect the material, I needed to use my curatorial judgement to set parameters on what did or didn’t need to be included. To simplify my approach, I saw collecting as accumulation and curation as sense-making. Both were necessary and interdependent processes. There are other ways of curating content that don’t involve plotting-out objects in three-dimensional spaces. Over time, I became less preoccupied with presenting and curating the actual physical artefact. Instead, the sounds and music on these records took priority. But how could I properly “curate” this content in a way that was appropriate? I could easily share digital transfers of my records on YouTube or on a blog, but I found that this method wasn’t official, or legal, and content tended to just “sit there”, without attaining any permanency or context for it to be valued or appreciated. At the same time, I became envious of the work being done by independent record labels like Dust To Digital in the U.S, who re-package and reissue historical recordings of blues, gospel, country and world music, with superb audio restoration and booklets full of images and scholarly annotations. The success of their model is shown through the countless Grammy award nominations and backlog of literature and reviews praising their work. The official Facebook page has over 200,000 likes and followers. Professionally produced reissue packages like these are costly and time-consuming, but they succeed at captivating certain audiences who would otherwise not be interested. Although vast online sound archives of 78s are becoming available, most notably through the Internet Archive and the British Library, they can be overwhelming for the casual listener. And just like physical archives and repositories of sound media, material tends to just “sit there”, only this time it is on a digital shelf and not a physical one. Reissue projects do more than keep recordings in print, they make the sounds and music of the past more digestible, more current and more relevant. The approach to compiling a reissue album of 78 recordings varies according to the person compiling it, who they are compiling it for, what their parameters are, and what recordings they have access to. There are two main approaches that a compiler can take when embarking on their work. The first is the ‘discographic’ or ‘completist’ approach, which focuses on presenting the entire recorded output (or near-complete output) of an artist, vocalist, group, composer, song or recording session. The second is the “mixed-bag” approach, where the compiler makes an eclectic selection of recordings based on a unifying theme or concept, which can involve a geographic location, style of music or period. This process is complicated even further when considering how listeners will ‘digest’ the music. Will they listen to it all in one go? Or will they do what my younger self did, and erratically dip in and out of tracks, rendering the compiler’s careful sequencing useless? Whatever approach a compiler takes, the basic concept behind it should be the “package” which is a curated, resolved, and integrated “whole”, featuring high quality cover art, sound restoration, liner notes and design. This curatorial approach to sound mimics the physical sites of an exhibition space. Objects can be placed in a space that suggests a narrative for the audience to follow, but it is never as strict or didactic as a book or film, which is expected to be consumed in a linear way. In this case, the viewer or listener has the control over how they experience content, and what gives them the most enjoyment and meaning. But unlike an exhibition, which is usually fixed and temporal, the reissue package can function as a physical site that audiences can return to over and over, and on their own terms. In practice, there are many hurdles and barriers along the way to reissuing archival sound recordings. One of the problems is that reissue work done by record labels is considered a “commercial” enterprise, although that term is a misnomer, especially with Australian 78s. You would have to be delusional if you thought that reissuing a series of rare recordings of Australian political speeches recorded by the Columbia Graphophone company in 1929 had the same commercial prospects as a reissue of The Beatles “Sgt. Pepper” album of 1967. And yet this is what archives seem to think when they charge ridiculously high and inflexible fees for “commercial” use of archival sound recordings. These policies do little to support the wider dissemination and appreciation of Australia’s early sound history. Instead they serve to keep culturally important material under lock and key, out of sight and out of mind. But why isn’t more work being done to reissue our recorded sound history? Why is it that Aboriginal and Torres Strait Islander art merits lavishly produced exhibition catalogues and publications, when recordings of traditional and contemporary Indigenous music are rarely given the same treatment or attention? Is the cultural cringe at work here too? 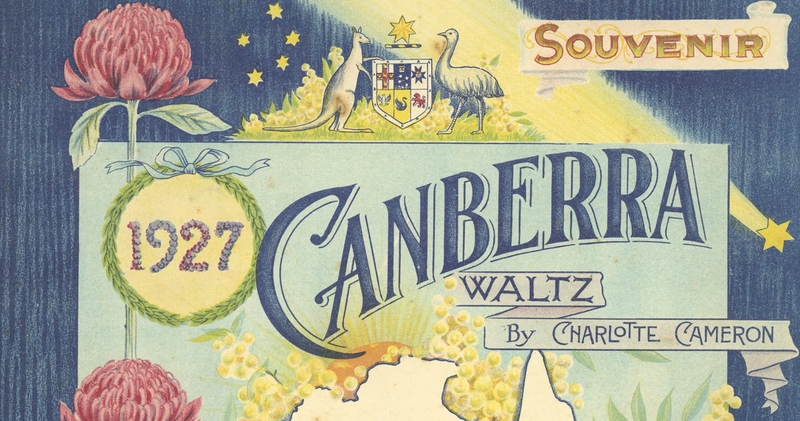 It is an imperative that more attention be given by Australian researchers, historians, musicologists, cultural authorities and institutions to research our sound legacy, and our musical output in general, and that of our neighbours. This is especially important in the era we live in, where audio-visual media and recordings are so ubiquitous that we take them for granted. Recorded sound is a living history, a way of actually “hearing” the past. It keeps track of where we’ve been and can point to where we are going. The job of the collector and curator is to fish out these objects from obscurity and re-integrate their songs, sounds and stories into the fabric of the present in a way that makes “sense”. As we’ve seen through the work of Harry Smith, this can be a powerful and transformative process – to see an entire nation literally changed through music. The history of sound recordings so far has been a largely physical legacy. Even though I identify as a collector, I realise that no one can truly “own” a recording, at best we are guardians, or merely carriers. The writer William S. Burroughs succinctly articulated the anxieties we have as humans around our mortality and legacies in the title to a LP compilation of his “cut-up” experiments in 1981, “nothing here now but the recordings”. It is a phrase that rings true for me and the work I am striving to do. With the inevitable march of time, as people live and die, as sounds appear and disappear, all we have are the traces, the recordings. But unlike Pygmalion, we can’t bring back to life the people whose voices and talents are etched onto those pieces of black shellac. But we can attempt to preserve and appreciate the legacy of what was recorded, of what has survived, even though so many precious sounds have been lost to us forever. The words of Burroughs will always pick away at me and urge me to recognise the motivating forces behind why I collect and why I curate – to bring sense to the chaos, and to understand my place in it – to piece together what remains. In the words of T.S. Eliot, these are the fragments that I have shored against my ruins. And these fragments are all we have left, for better or worse. Because there is nothing else here now. Nothing here now but the recordings. Here is a PDF of the slideshow I used in my presentation. A PDF featuring a bibliography, glossary of terms, list of Oz and NZ reissue labels, links and acknowledgements. A video of my presentation can be seen in full on YouTube.